With a holiday based in Glencoe there’s a whole host of things to see and do throughout the entire year, with everything from mountaineering amidst Glencoe’s lofty peaks right the way through to excursions for all the family. Listing them all is an impossible task, so here are a few of our favourites to whet your appetite. Wherever possible we have provided web links. Explore the local area. Enjoy the fresh air and take in one of our short local walks. Then take a well earned break and enjoy a coffee and a cake! Crafts & Things at Tighphuirt, overlooking Loch Leven, have a popular coffee shop as well as a wide variety of crafts, gifts, books, art and clothing in their retail shop. Ballachulish Tourist Information Centre also operates a coffee and gift shop and is a great place to go to research more information for the remainder of your stay whilst enjoying a coffee. Internet access available. The National Trust for Scotland own much of Glencoe. Their award winning visitor centre is set in the lower glen, close to our properties. As well as interpretive information and an exhibition, there are regular art and photographic displays, childrens’ activities, Landrover safaris and, of course, a coffee shop and retail area. There are short woodland walks starting from the centre. Glencoe Folk Museum is housed in an old thatched cottage along the village street and provides a highly recommended reflection of rural Highland life and local history. Visit Kinlochleven and call in at The Aluminium Story Visitor Centre. Take the family for a climb at the Ice Factor indoor climbing centre. Meanwhile, a trip down the 13 mile long single track road into Glen Etive is a stunning drive into a remote Highland wilderness. 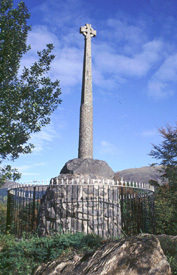 Just 20 minutes to the north, combine your trip to the supermarket with a walk up Glen Nevis. 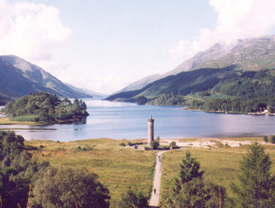 Park at the visitor centre and explore the low level paths or head further up the glen to the lower falls. Take a trip up the gondola at Nevis Range and visit the restaurant at 2200 feet. If the weather is not too good, go bowling or lets the kids loose at Going Wild at the Nevis Centre. Visit Treasures of the Earth at Corpach or use the pool and facilities at the Lochaber Leisure Centre. Take the Jacobite steam train out to Mallaig, you won’t be able to keep your eyes of the stunning loch and mountain views. When crossing the Glenfinnan viaduct keep a look out for Harry Potter along the way. If you can’t get a trip on the steam train there is a standard rail service that runs regualry between Fort William and Mallaig. The Cabin Seafood Resteraunt in Mallaig does some great take away fish and chips. You can watch the fishing boats coming in from the restaurant. Take the pleasant coastal circular walk at Clach Thoul, starting just by the Pier House in Port Appin. The quiet island roads on the Isle of Lismore are an ideal place to explore by bike. Park down by the pier and load your bikes onto the regular passenger ferry. After your adventures, have lunch at the Castle Stalker View Cafe overlooking the much photographed Castle Stalker. The castle (Castle Arghhh..) featured in Monty Python’s Search for the Holy Grail. Call in at the (original) Sea Life Centre on the way south and visit the seal sanctuary. Visit the Oban Distillery and Mckaig’s Tower. Or take the passenger ferry to Kerrera and walk to Gylen castle. Return via the Pass Of Brander and Glen Orchy, calling in at Cruachan Power Station on the way. Take a trip over the Corran ferry and explore Morvern and Ardnamurchan. There’s forest walks at Ariundle, Strontian, which are conveniently located for the post-walk tea and cakes at Cozy Knits. There’s also more walks in the Sunart Oakwoods. 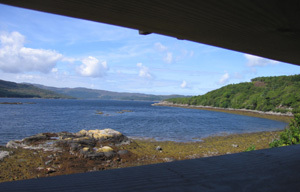 Take your binoculars and spend a while in the new hide overlooking Loch Sunart. There’s a cafe at the Post Office in Acharacle or a great bakery if you’re planning a picnic. Pop down to the beach close to the ruined Castle Tioram, or take in the 3 Lochs walk. Take time to visit the spectacular beaches – the singing sands at Goertenfern, or at Ardtoe. Head out to the most westerly point on the British mainland and Ardnamurchan lighthouse where you’ll find a small visitor centre with gift shop and tea room .Visit the stunning beach at Sanna. On the way be sure to call in at the excellent Ardnamurchan Natural History Centre near Glenborrodale. Extend your day with a trip out to Arisaig and Mallaig, and more white sand beaches. 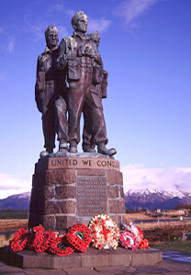 Stop off and enjoy the magnificent view from the Commando Memorial near Spean Bridge. Take a detour down to Achnacarry and visit the Clan Cameron Museum. Drive the Dark Mile and see Cia-Aig falls and the Witches Cauldron pool, before reaching Loch Arkaig. Go Nessie spotting with a cruise on Loch Ness. Visit Castle Urquhart. Take a stroll by the Caledonian canal lochs in picturesque Fort Augustus. Day trips to the Inner Hebridean isles are entirely possible but will take a bit of planning and a full day out. Iona is an extremely popular destination, but equally a trip to Eigg and a walk up the Sgurr can be the highlight of a trip to the west coast. Sailings to Mull with CalMac ferries leave from Oban but the shorter and cheaper crossing from Lochaline to Fishnish is convenient and a superb drive. Alternatively, a number of operators in Oban will provide fully inclusive tickets for day trips to Iona and Staffa, though these can be quite expensive. 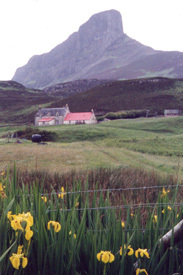 Day trips to the small isles, particularly Eigg and Rum can be taken from Arisaig or Mallaig. You can drive over the bridge to Skye, but its still possible to take the boat from Mallaig.